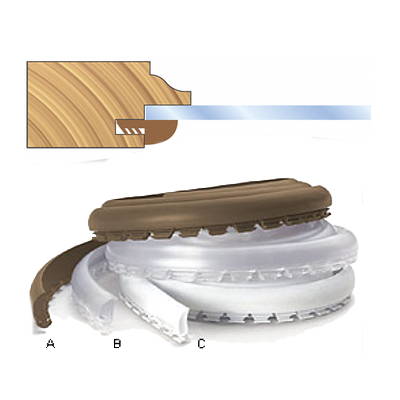 If you are looking for the right glass or panel retainer, Cabinetmart.com has just what you need. We offer our customers a wide selection in a variety of colors. These strips are excellent for stabilizing your glass in a cabinet door and prohibit any rattling. They fit easily and quickly into a slot cut in the rails and stiles and remain secure in the molding of a groove between the panel and the frame. IN CANADA CLEAR IS THE ONLY COLOR AVAILABLE SORRY.